This free abdominal exercise advice is for you...anyone can join in! There is no login or registration process making is easy for you to ask your questions. Everyone has something to ask or something to share regarding abs exercise or fitness in general. Actually, you've probably been searching the internet for information to help you regarding abdominal exercise. Have you found the information you need? If not, ask your questions here. 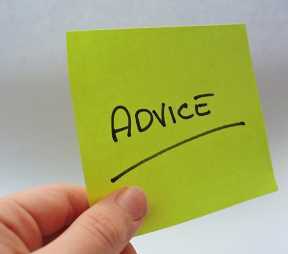 Don't forget to share your opinions and advice by posting comments to the questions asked. Feel free to help others by sharing what you've found works best for you! We are here to help, support and encourage each other. Working as a Physical Therapist, one of the most rewarding parts of my job is helping people. And one of the ways I do that is by sharing the information I know to help their specific condition. Come on in, let's join together to solve our problems, share our ideas and ask those troubling questions. I won't be the only one answering the questions....you will too! That's the beauty of online community. The idea here is to help and be helped. The more the merrier! So, ask your questions and I will try my best to help you in whatever way I can. Simply go to the form below to get started. Or start reading other's questions below. We are currently not accepting any new questions. Review the previous questions submitted to see if your question has already been answered. Thank you! HOW SOON AFTER A C-SECTION CAN YOU DO AB EXERCISES SAFELY? I AM TRYING TO GET RID OF MY MUFFIN TOP. THANKS! My sitting position is not good ,I don't sit straight ,is it that my abdominal muscles are weak,can you recommend any exercises. HELP! I cannot feel my lower abdominals, nor the skin around them. Ab Lounge to decrease strain on neck? I don't feel anything with my abs exercise - Help! How Often Should I Do Abs Exercise? Best ab workout when you have back aches?